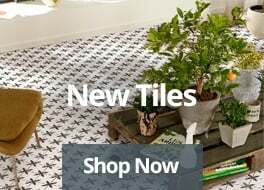 If you’re itching to get outside and tackle some garden updates, we have some smashing crafty ideas for sprucing up outdoor garden tiles that will be sure to get your creative juices flowing without costing you a fortune. 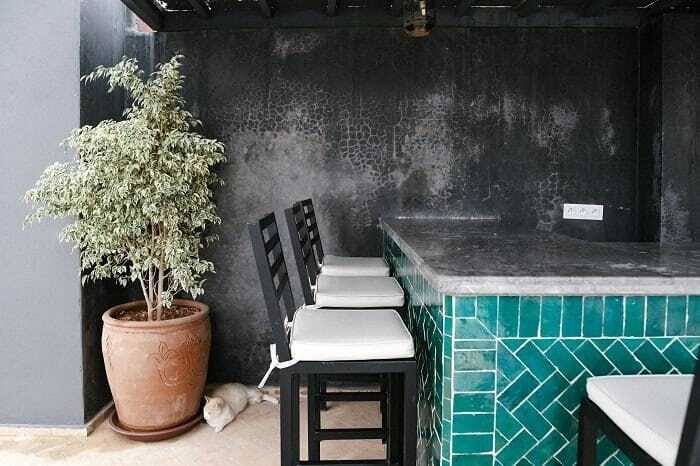 From patios to plant pots, this post will look at a number of ways you can breathe new life into tired outdoor tiles or use up leftovers with just a lick of paint and a touch of your imagination – leaving you with a stylish space primed for summer relaxation. 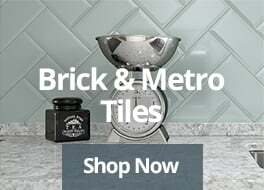 However, before you dive in with a paintbrush in hand, there is some essential preparation and kit needed to ensure your tile updates not only look great, but also last the duration. Firstly, you need to thoroughly clean tiles and grout lines, removing any dirt and grime. An oxygen-bleach powder and water mix will give a deep cleanse to remove stubborn built up dirt. Allow the solution to sit on the tiles for approximately ten minutes, then scrub the tiles with a scrubbing brush to remove the dirt. For grout lines, use a special grout brush or a standard toothbrush to prevent the delicate grout being damaged or removed. Rinse the solution off with cold water and allow to dry fully. If you have polished tiles, it’s also advisable to sand the shiny surface to give paint and clean off to allow the paint to take more effectively. Now you’re ready to release your crafty side, simply pick out your desired colour of special tile paint and grab some paint brushes and you’re all set. With tile paint, one coat should be enough, but for strong colours or patterned tiles, you may want to apply additional coats to achieve even coverage. Painting existing garden patio tiles is an ideal thrifty outdoor update for those on a tight budget – and requires minimum disruption to your garden too. Granted, you will need to go to the effort of prepping the area as detailed above, but the end result will definitely be worth it when you’re relaxing on your plush, colourful patio. From Mediterranean hues to sleek and contemporary two-tone designs, the world is your oyster when it comes to colour schemes. However, it’s always advisable to have your design pre-planned, giving you a guide to follow to avoid any mistakes – which is easier to do than you think when if you’re working with a more complex pattern. If you’re stuck with some leftover outdoor tiles, why not put them to good use for decorating plant pots? 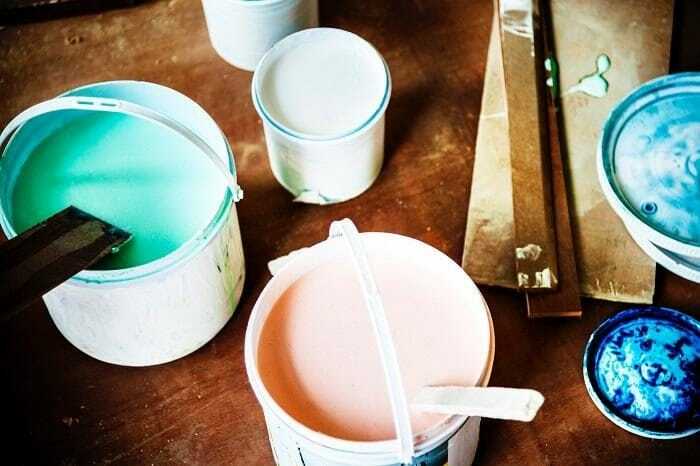 Regardless of the tile colour, a fresh coat of paint will give you plenty of scope for creating colourful planters for patios, window sills and more. Whether you lay offcuts in symmetrical patterns on square and rectangular style planters or create a stunning mosaic design with less conventional shaped pots, this can be a fun spring craft project for kids and adults alike. Although, it goes without saying you need to keep a watchful eye with little ones with sharp tile edges, but getting them involved in the painting will give them hours of entertainment. Another spring crafts concept that can be as playful or as artistic as you like is to use painted garden tiles to create your very own feature for walls and floors. From mosaic-style borders in vibrant colours to creative murals, use garden tiles as your blank canvas to really bring your garden to life and add characterful features in the process. Whether you fancy yourself as a budding artist or you just want fun spring crafts project all the family can enjoy, we hope this leaves you feeling truly inspired to get outdoors and get creative. If you don’t already have your outdoor canvas to start painting, take a look at our beautiful collection of outdoor tiles today in a choice of colours and finishes to find the perfect solution for colourful creations.